You’ve just received deployment papers and, depending on your military unit you may have anywhere from several months to a few short weeks to prepare. There are plenty of things to worry or stress about during this time, but don’t let moving be one of them. Rather than trying to haul your car, furniture and personal items to another location, consider renting storage space. 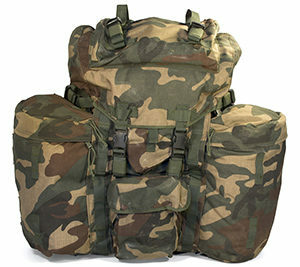 Regardless of how long you are deployed, having your items stored is a hassle-reducing solution. You can rest easy knowing that your possessions are safe and that if you end up being gone longer than you originally thought, Dollar Self Storage offers month-to-month rentals. The U.S. Bureau of Labor Statistics reports that today, more than 2.1 million people serve in the U.S. Armed Forces. For these servicemen and women, moving is a part of life. Military families can expect to relocate every two to three years. Military families rent up to 95% of the storage units near military bases and for good reason: it makes life that much easier on the servicemen/women and their families. Military members and their families make a lot of sacrifices to protect and serve our country and it’s always a good time to say thank you and to let them know we appreciate them. Visit dosomething.org to learn more about what military families go through and to find out how you can send a card to brighten the day of a deployed solider. Dollar Self Storage has locations in California, Arizona and Nevada. If you are a military member, we would be honored for you to store your stuff at one of our locations. This entry was posted in Moving, Storage, Travel on August 1, 2018 by George W.